The cowboy hat is one of the most traditional styles of hat with a rich history and heritage. During the course of its history, there are many reputational hat companies which are well known for making the best cowboy hats. And one of them is Resistol (Other brands include Stetson or Bailey, along with others which you can read more here ). A Resistol hat is known for the excellent craftsmanship, high quality materials, mostly in felt or straw, and the elegant design. The company has introduced many collections with varied choices in design, styles, colors, and features to choose from. 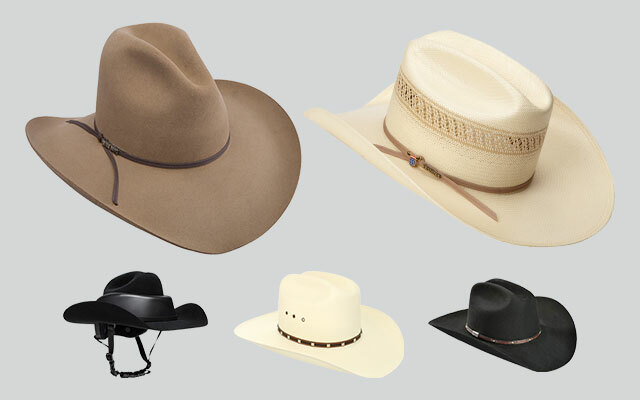 In case you are looking for a high quality cowboy hat, you can be overwhelmed with the options that you can have. 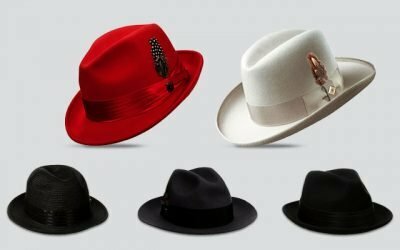 Let me help you with my picks of the best Resistol hats on the market I have come across so far. Q1: How Resistol Hats Are Made? A: A Resistol hat can be made from fur or straw. No matter which type of material a Resistol hat is made of, it is made of the raw material- raw straw or raw fur. A hat is made starting with raw fur to form the own hat body. These raw fur elements are mixed and blended using the company’s own recipes. The fabric is then dyed before the body of the hat is made. The crown and the brim is shape before the satin lining is attached to the hat along with other features of the hat. Finally, each of the hat is put into a single before it is delivered to the retailing stores. 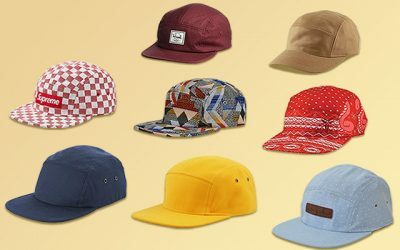 All of the hats are made entirely in 1 single factory, through 200 processes. Hence, you can expect the top-notch quality control, a great attention to detail, and the excellent craftsmanship to form a Resistol hat. Q2: Where Are Resistol Hats Made? A: Resistol is a company founded and based in America since 1927. It has been making its hats at its Garland, Texas Factory since 1938, and it still is. The raw material is processed in Texas, and the finishing factory is also based in Texas. So if you are looking for a truly authentic cowboy hat which is made in the USA, check out thousands of hats from its collections. Its Key Features: This Resistol hat is made of 100 % of 10x straw. 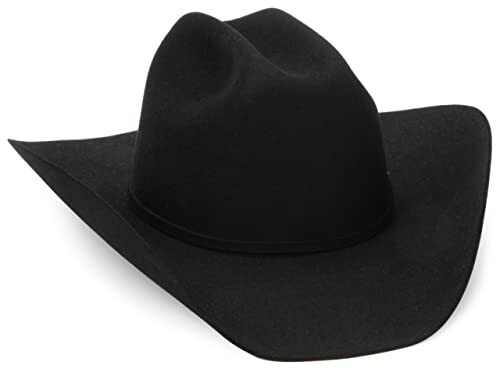 It features the design of a classical cowboy hat with a crease crown and slightly curved brim on both sides. It also comes with a mesh pattern on the crown of the hat and a ribbon leather hat band as well as a 2-ply tan ban with an ustrc pin. The height of the crown is 4.25 inches while the width of the brim is 4 inches. 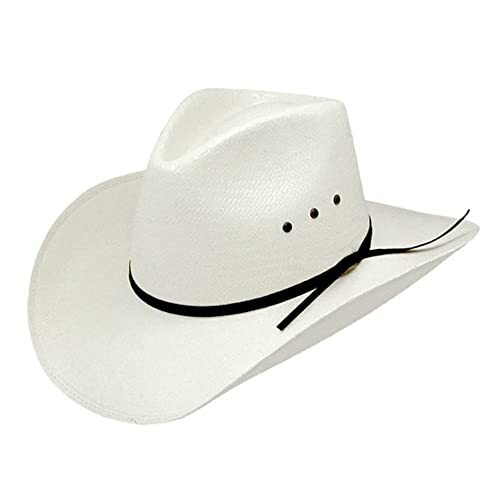 It is one of the best white resistol cowboy hats that you can find on the market for several reasons. First of all, this hat is made of the premium quality material which is natural and safe even on the sensitive skin. In addition, the fabric is processed nicely and carefully for the hat to be lightweight and comfortable to wear. It is also very well ventilated. Second of all, the fabric of this hat is tough, durable, and highly resistant against the harmful elements such as moist and heat. Third of all, the brim of the hat is super wide, which can help to cover a large area of your face as well as your neck and keep them away from the harmful sunrays. In addition, this hat comes with an inner Dri-lex sweatband to prevent sweat and odor from developing and add extra comfort to you. You can easily see how the hat is well made with neat stitching lines. Other details are also well made with the high quality materials, adding extra elegancy to the hat. If you are looking for a cowboy hat to wear in the hot summer days, this hat is one of the best investments to consider. Its Key Features: This solid black Resistol hat is made of 100 % of 6x beaver fur felt. It features the design of a cowboy hat which belongs to the George Strait Kingman Signature collection. This hat is available in solid black color with a layered black and brown leather hat band. Other details including the silver-tone conchos and George Strait hat tack. The height of the crown is 4 inches while the width of the brim is 4 3/8 inches. This george strait resistol hat is made of the premium beaver felt, which makes the fabric soft and smooth to the touch. In addition, the fabric is thick enough t o keep your head warm and cozy in a cold day. Also, the fur is not irritating at all as there is a sweatband which helps to keep your forehead away from rubbing against the body of the hat. This hat is also dirt resistant so that it will look like new all of the time. The brim of the hat is wide enough to cover a large area of your face. Also, the brim is reinforced so that it will not become flimsy in case of a high wind. The overall construction of the hat is very firm and solid. It is made with excellent craftsmanship and neat stitching for extra durability. The other details of the hat, including the leather hat band and the conchos are of premium quality as well. This hat is definitely as a great winter hat that would go well with your jackets and denims for a cool and stylish winter outlook. 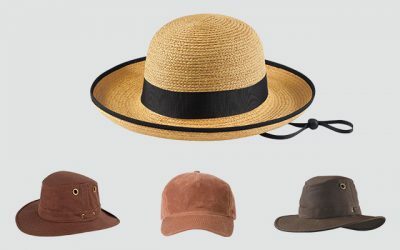 Its Key Features: This Resistol hat is made of 100 % of raw Mexican palm straw. It features the design of a cowboy hat and belongs to the Jason Aldean Hicktown collection. It comes with a crease crown and a slightly curved brim on both sides. The width of the brim is 4.5 inches. There are 3 ventilation eyelets on both sides of the hat. It also has a thin leather hat band with metal studs. In case you are looking for resistol straw cowboy hats to wear in the hot summer day, check out this hat. It is made of the premium quality straw which makes the hat lightweight and breathable. In addition, this hat comes with a 3 ventilation eyelets on both sides of the crown to provide extra ventilation to the hat. Moreover, this hat comes with an inner hat band to help wick moisture away and keep your head cool and dry. The brim of the hat is wide enough to help cover a large area of your face and protect your skin from getting sunburn. The construction of this hat is very firm and solid with high quality craftsmanship. The brim of the hat is reinforced for a firm and stiff shape. While the brim is wide, it will not become flimsy in case of a high wind. Still, you can shape the brim to form the look that you like. Overall, this hat is made with premium quality materials which are tough and durable. Its Key Features: This Resistol hat is made of 100 % of 7x fur felt in the black color. It features the helmet detail which is ASTM/SEI approved. This hat is made of the natural pure felt material which is of the high quality. Hence, the hat is soft and smooth with an expensive look. The brim of the hat is reinforced with double stitching lines for extra durability. While the brim is stiff, you can easily reshape the brim to whatever shape that you like. Like other Resistol hat, this hat is satin lined to add extra comfort to your head and prevent hat hair. It also helps to prevent your forehead from rubbing against the tough fabric of the hat, ensuring that you can feel comfortable wearing the hat for a long time. 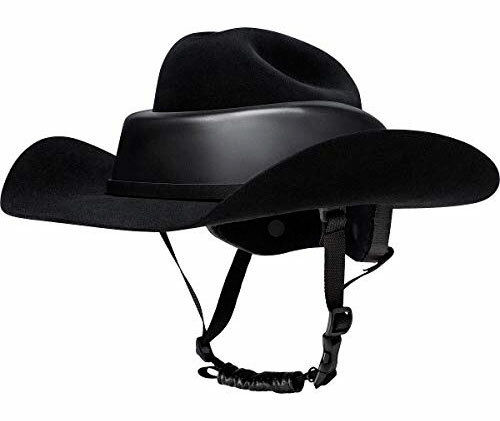 As you can see, besides the premium cowboy look, this hat comes with the ASTM/SEI approved safety and protective elements of an equestrian riding helmet. This part is firm and solid, which is capable of protecting your head. Not to mention that it is very easy to adjust this part for you to have the most comfort fit. 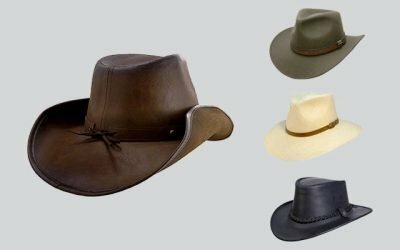 Provided that you are looking for resistol western hats which do not only look good but also are capable of protecting your head during a horse ride, this hat is worth checking out. 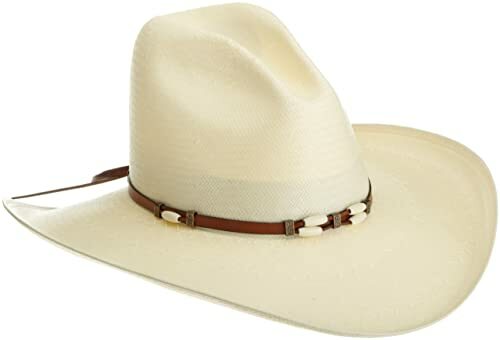 Its Key Features: This cowboy hat is made of 100 % of straw featuring the design of a cowboy hat in ivory. 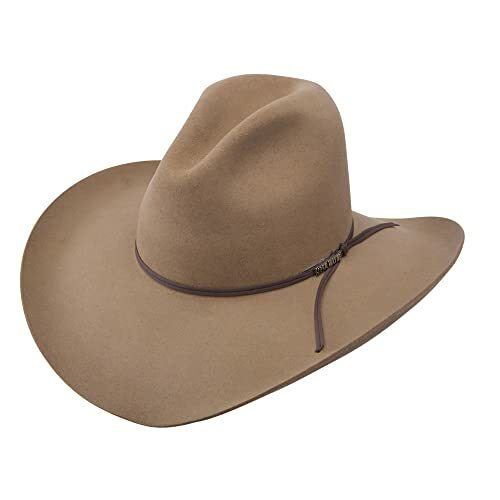 It features the design of a cowboy hat with a brown leather hat band and 3 ventilation eyelets on both sides of the hat. Other details of the hat are the crease cattleman crown, a flat brim, a brown hat band with black overlay. This hat belongs to the George Strait collection. The height of the crown is 4 3/8 inches while the width of the brim is 4 inches. This hat is made of the high quality material, which is 8x straw for lightweight and breathable fabric. In addition, this hat has 3 ventilation eyelets on both sides of the hat to add extra air circulation. Moreover, this hat comes with an inner sweatband, which is capable of wicking moisture away and keeping your head cool and dry all of the time. The sweatband is quite flexible as well for you to have a comfortable fit with this hat. The brim is 4 inches in width, which is sufficient to cover a large area of your face as well as your neck and protect them from the harsh sun rays. The construction of the hat is very firm and solid, which can stay in its shape no matter how many times you wear the hat. The beautiful ivory finish of the hat, along with the elegant brown leather band with metal square studs add an elegant and Vintage look to the hat, making it a great choice when you need something classy. 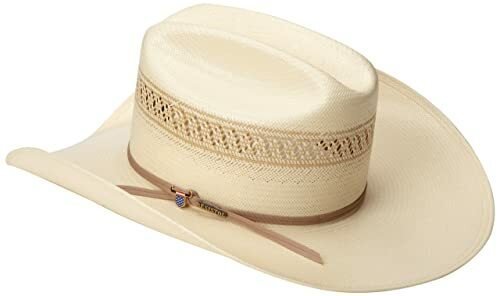 Its Key Features: This Resistol straw hat is made of 100 % of straw, which is the 7x Bangora straw. It belongs to the Double RR collection. The design of the hat includes a crease teardrop crown with a slightly curved brim. There are 3 ventilation eyelets on both sides of the hat. It also includes a 2-ply black band. The height of the crown is 4 1/8 inches while the width of the brim is 3.5 inches. This hat is capable of keeping your head cool and dry in the hottest summer days with many great features. First of all, this hat is made of the premium quality straw which is lightweight and breathable. Second of all, it comes with 3 ventilation eyelets on both sides of the crown to add extra air circulation. And third of all, this hat comes with an inner sweatband which prevents moisture from developing. Besides the breathability, the material of this hat is water repellent, rugged, and durable. It also makes the hat quite lightweight and comfortable to wear for a long time. 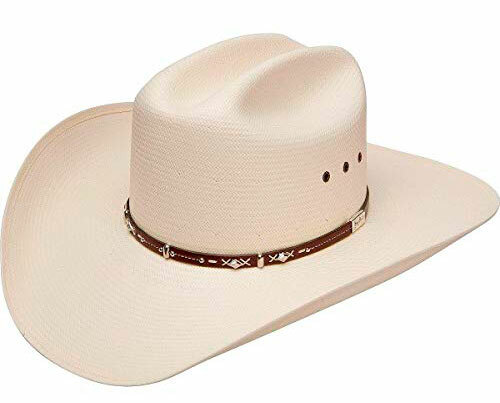 Like other resistol straw hats that you can find on the market, this hat comes with a wide brim which is enough to cover a large area of your face as well as your ears and your neck. Also, the brim is reinforced so that it will not become flimsy in case of a high wind. Still, you can reshape the brim to form the style that you like. Keep in mind that this hat runs a little bit smaller than other cowboy hats of the same sizes that you can find on the market. Make sure you check the sizing table before you decide on which size to buy. 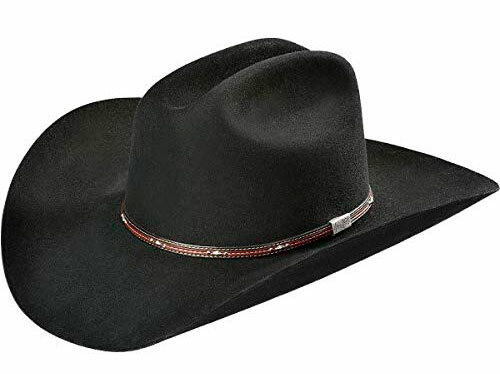 Its Key Features: This cowboy hat is made of 100 % of fur felt, featuring the design of a classic cowboy hat in black solid color. This hat belongs to the Resistol’s George Strait collection. The height of the crown is 4 inches while the width of the brim is 4 5/8 inches. This hat also has a hatband of the matching color. The hat band comes with a three piece buckle set accented by a silver start and a silver trim. This fur felt material of this hat is the 4x fur felt. With the premium quality material, this hat is soft and smooth to the touch. In addition, it is warm enough to keep your head cool and dry in the cold days. Another great thing about this hat is that it is dirt resistant to keep its solid black finish smooth all of the time. Not to mention that it is very easy to clean the hat. You can clean the hat well with daily brushing to get rid of the stubborn dirt. In addition, in case wrinkles and creases appear on the hat, you can easily get rid of them by steaming the hat without deforming the shape of the hat. Last but not least, this hat is well made with an excellent craftsmanship for a firm and solid construction that lasts for many seasons to come. With the bold design and solid color and details, this is one of the resistol felt hats which you can easily pair with other items in your wardrobe- either for a themed party or a daily wear. Its Key Features: This cowboy hat is made of 100 % of 10x straw. It belongs to the George Strait Hazer collection. The design of the hat includes the cattleman crown and a slightly curved brim on both sides. Other details of the hat include a brown leather hat band with shiny silver-toned concho and stud details. The height of the crown is 4 3/8 inches while the width of the brim is 4 inches. 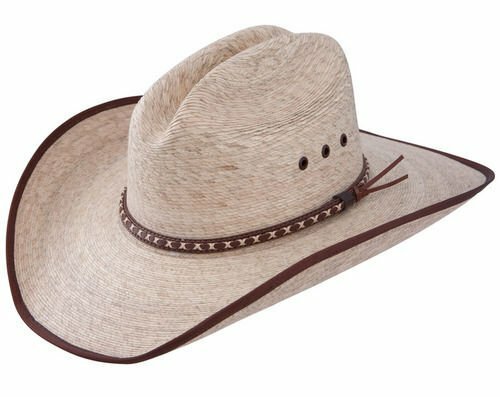 This george strait resistol hat is made of the toughest and most durable straw material. Hence, you can expect this hat to be weather resistant and long lasting. It is water repellent and shape retentive, making it easy for you to take care of the hat. The fabric of this hat is quite thick and the hat is not really the most lightweight straw cowboy hats that you can find on the market. 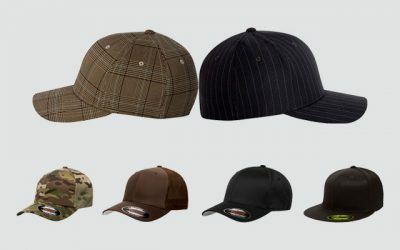 The fabric is also breathable with 6 ventilation eyelets on both sides of the hat to help circulate air around your head. Another significant feature of this hat is that it comes with an ice blue cooling sweatband. With the comfortable and high quality sweatband, you will feel cool and comfortable all of the time. The brim of the hat is wide enough to cover a large area of your head. And it is reinforced so that it will not become flimsy in case of a high wind. You can also reshape the brim of the hat to form a style that you like. It is definitely what you need to survive a hot summer day. 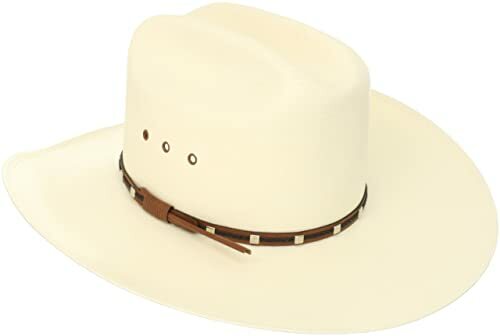 Its Key Features: This Resistol hat is made of 100 % of straw featuring the design of a classic cowboy hat with a cattleman crown and a flat wide brim. This hat also has a band featuring 3 groups of elongated barrel shaped beads with brass colored metal claps evenly spaced across the front. There is a long leather tassel on the back of the hat. The height of the crown is 4.5 inches while the width of the brim is 4.5 inches. 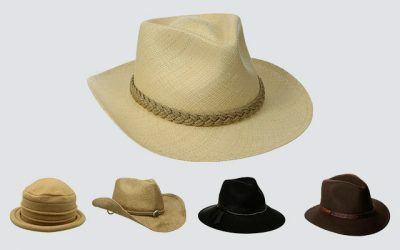 If you are looking for vintage resistol hats made from straw for a hot summer day, check out this hat. This hat is made of the high quality paper straw which makes the hat lightweight, breathable and comfortable to wear. In addition, the material is tough and weather resistant. It is water repellent so that you can enjoy wearing the hat when it is slightly raining outside. The brim of the hat is wide enough to cover a large area of your face as well as your ears and your neck and protects them from the harsh sun rays. The brim of this hat is reinforced, especially with the double stitching lines to make sure the edge would not fray even after you wear the hat for a long time. The fabric and construction of the hat is flexible enough for you to fold the hat and pack it into a small bag, making it easy for you to store or carry the hat around with you. Other details of the hat including the beads and the metal clamps are well made for a polished and shiny look. Not to mention that these colors blend well together to form a classic Western cowboy look. 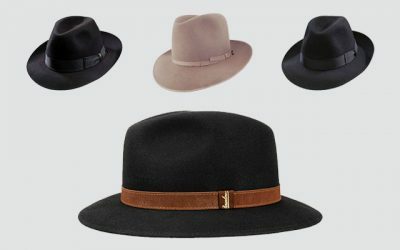 Its Key Features: This Reistol hat is made of 100 % of 4X beaver wool. It features the design of a classic western hat with cattleman crown and a flat brim. There is a ribbon leather band attached to the hat as well. This hat is one part of the John Wayne collection “Peacemaker” wool hat. This hat is available in stone with 1 size that can fit head’s circumferences from 21 inches to 23 inches. This hat is made of the high quality material which makes the hat soft and smooth to the touch. The fabric of this hat is also thick enough to ensure your head feel warm and cozy in a cold winter day. And while the fabric of this hat is thick, the hat is still lightweight so that you will not feel any burden while wearing this hat for a long time. This hat also comes with an inner sweatband to prevent your forehead from rubbing against the fabric of the hat. Hence, you will not feel irritated at all even when you have to wear this hat for a long time. Last but not least, this is one of the resistol hats 4x beaver which are made with the great care and attention for a firm and solid construction. The brim of this hat is reinforced with double stitching lines for extra durability. That is all about the reviews of the best Resistol hats for men that you can buy one the market. 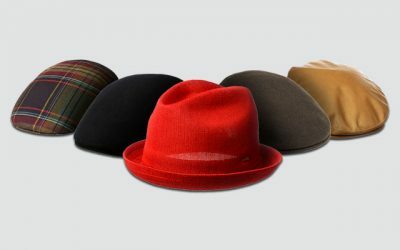 As you can see, the hat company offers a wide range of collections with different designs, materials, and features. But there is one thing for sure: all of these hats are made with a great attention to details, high quality materials, and great designs. I hope that with the review above, you can quickly find the best Resistol hat that meets all of your needs and style preferences. A Resistol hat might be expensive but it can be a worthy addition for your wardrobe for many years to come.